Proceeds from criminal activities will be plowed into crime remediation and prevention in several Nuu-chah-nulth communities. Thirty five years later, the image glows with iconic significance. With their shoulders bathed in the orange of a descending sun, dozens of men struggle to lift an enormous figure. The search is on for genealogy information that will help build an all-inclusive Nuu-chah-nulth family tree. David Edgar believes in the if at first you don’t succeed, try, try again quote. The federal government fears Chinook salmon from the Fraser River system is at risk of extinction, and restrictions in their 2019 fisheries management plan are a reflection of this concern. Where there is fire, there is smoke along with other occupational hazards for firefighters. The Indian Status Card is an identity document issued by the Canadian government that confirms a person is registered as a Status Indian under the Indian Act. Despite being able to harvest just one whale since the 1920s, the Makah are ready for the return of a regular hunt, as the sacred practice never ceased being taught within the Nuu-chah-nulth tribe. Three Nuu-chah-nulth students from Gold River Secondary School travelled to France as part of a one-month exchange program in March. A few days after Zeballos tested its tsunami sirens last August, a brief Facebook post alerted residents to a hazard from the opposite direction, not from the sea but from the mountains. Swaths of aquamarine have once again emerged along B.C.’s coastlines this spring, the annual marker that herring are undergoing their reproductive cycle. The human remains discovered in a burnt-out cabin at Warn Bay in Ahousaht territory on Feb. 25 have been positively identified and foul play has been ruled out. With more than half of its on-reserve population under the age of 25, the future of Ahousaht belongs to the young. Whaling could be returning to Nuu-chah-nulth territory south of the USA border. The Huu-ay-aht First Nations (HFN) and Western Forest Products (WFP) have entered into an historic, mutually beneficial partnership made possible through provisions of the Maa-nulth Treaty. 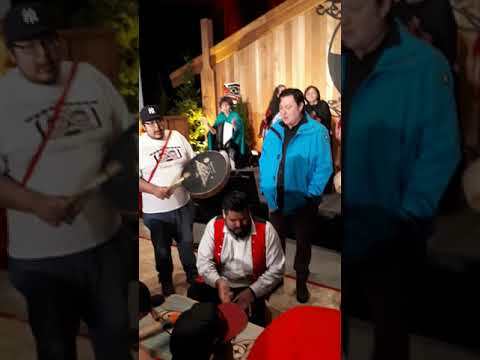 The recently announced federal budget includes some of the best news First Nations have heard from Ottawa in a long time, says the BC Treaty Commission.